The IPv6 Forum welcomes the formation of a new IPv6 initiative with the establishment of the IPv6 Council Estonia under the leadership of Mr. Truls T. Ringkjob as its chair. “The Estonian IPv6 Council will engage key stakeholders from government, industry and academia to design the IPv6 roadmap and vision together for Estonia to embrace the New Internet world based on IPv6” stated, Mr. Truls T. Ringkjob, Chair, IPv6 Council Estonia. 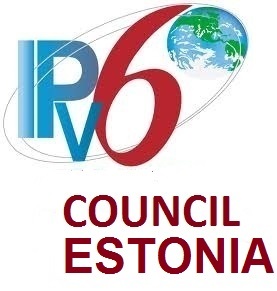 The prime objective of the Estonia IPv6 Council and its members is to promote deployment and coordinated uptake of the new Internet Protocol version 6 (IPv6) with support from industry, education, research communities and government agencies enabling equitable access to technology and knowledge. “The Estonia IPv6 Council has been created to extend to the Estonian Internet community a strong voice and representation in the new Internet world to create momentum in deploying IPv6” stated Latif Ladid, IPv6 Forum President. The Internet World has been using the Internet Protocol version 4 (IPv4) for the last two decades. Despite its tremendous success, IPv4 is showing signs of strain especially in its fast depleting IP address space and its growing security concerns. IPv6 preserves everything good in today’s Internet, and adds much more, such as virtually unlimited IP address space to connect everyone and everything, stateless auto-configuration, seamless mobility, automated network management, end to end security and new optional service levels. The Estonia IPv6 Council is a chapter of the IPv6 Forum dedicated to the advancement and promotion of IPv6 best practices and lessons learned in Estonia. Comprised of individual members, as opposed to corporate sponsors, its mission is to provide technical leadership and innovative thought for the successful integration of IPv6 into all facets of networking and telecommunications infrastructure, present and future.